Did you know? 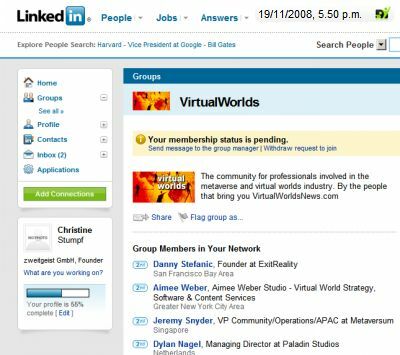 There is Virtual Worlds group in professional social network LinkedIn, initiated by my daily readingvirtual worlds news. If you like to join the network just klick the screenshot and login.